Open source community software tools enabling ease of adoption and inspiring third-party app developers to build apps for consumers. Compatible with Arduino Uno (except only 4 PWM instead of 6 PWM). 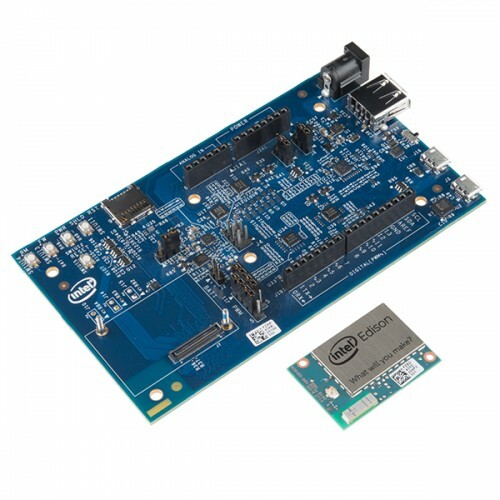 The Intel® Edison packs a robust set of features into its small size, delivering great performance, durability, and a broad spectrum of I/O and software support. Those versatile features help meet the needs of a makers, inventors, and beginners. 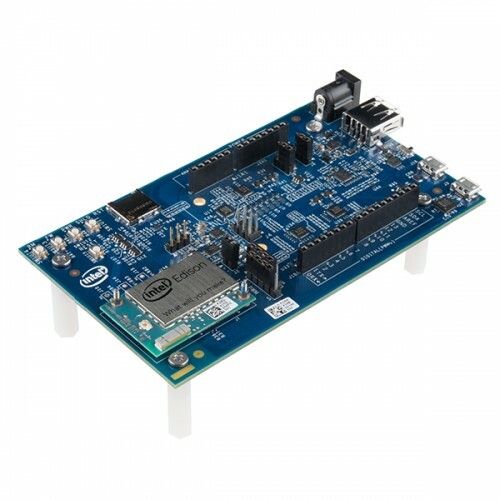 This is a module with a high speed processor and WiFi and Bluetooth Radios on board. 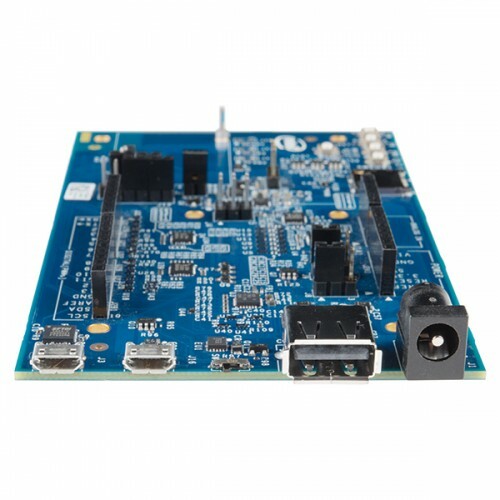 It’s low power and small footprint make it ideal for projects that need a lot of processing power, but don’t have the ability to be near a larger power source or have a large footprint. This kit also includes a Arduino Breakout, which essentially gives your Edison the ability to interface with Arduino shields or any board with the Arduino footprint. Digital pins 0 to 13 (and the adjacent AREF and GND pins), analog inputs 0 to 5, the power header, ICSP header, and the UART port pins (0 and 1) are all in the same locations as on the Arduino Uno R3 (Arduino 1.0 pinout). 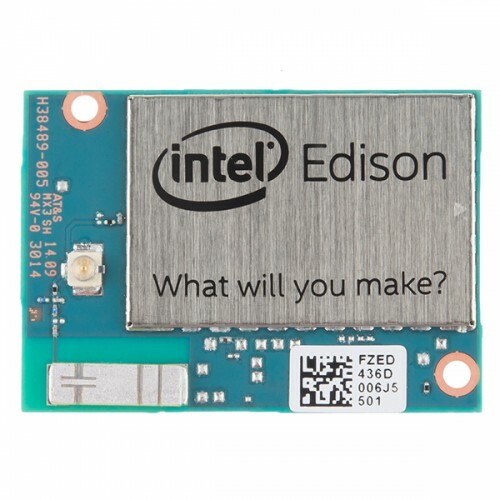 Additionally, the Intel® Edison Arduino Breakout includes a micro SD card connector, a micro USB device port connected to UART2, and a combination micro USB device connector and dedicated standard size USB 2.0 host Type-A connector (selectable via a mechanical microswitch). 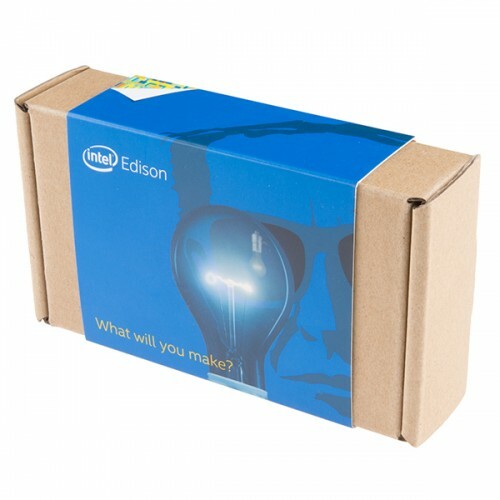 Though this kit won’t turn your Edison into an Arduino itself, you will, however, gain access to to the Arduino’s shield library and resources!